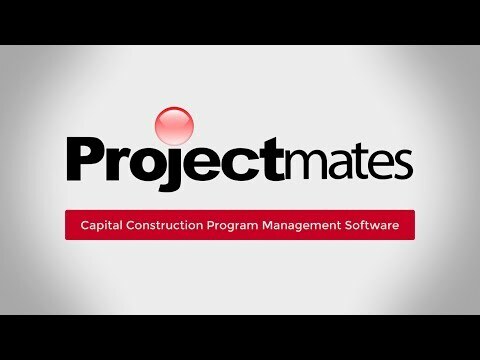 Richardson, TX — June 08, 2015 — Systemates, Inc. is pleased to announce Kum & Go's recent selection of Projectmates Construction Program Management Software. With over 430 stores spread across 11 states, this convenience store chain needed construction management software that could overcome the geographical distance between its various projects and project teams. To address this need, Projectmates was brought on board to act as Kum & Go's central hub of project information, communication, and workflow. Many factors come together to make Projectmates one of the most accessible construction management software available. First, being cloud-based allows the Kum & Go team to access and update critical project information such as budgets and schedules from anywhere. In addition, Projectmates is accessible on any device featuring an internet browser, including laptops, tablets, and smartphones. With Projectmates' budget, K&G is able to track estimated, committed, anticipated, and actual costs in real time for one project or across their entire construction program. "Projectmates closely matched our needs to manage all the project data in one system," said Scott McGee, K&G's Director of Construction. "Additionally, it was easy to utilize the system." Before Projectmates, a vast majority of K&G's project management was documented in separate spreadsheets. This made coordination between project teams cumbersome as managers constantly had to find the most recent spreadsheet, as well as ensure that any changes made were propagated to all relevant parties in order to avoid misinformation. With Projectmates document manager and automated workflow, issues such as tracking down the latest version or double entry are a thing of the past. Document versioning is automatic, allowing users to access both the latest and previous versions of drawings and specifications. Changes and project updates are communicated clearly to the entire team through user-friendly emails, individual ball in court tracking, and program reporting. Projectmates prides itself in being incredibly fast to implement, with clients getting up and running in the software in as little as 8-12 weeks. This greatly maximizes K&G's return on investment for their new construction project management software. Additionally, the recent release of Projectmates 14.0 features training videos embedded throughout the software, helping new users learn Projectmates even faster. K&G is a convenience store chain located primarily in the Midwestern United States. With over 430 convenience stores spread across 11 states, the company serves over 480,000 customers daily. On top of their passion towards providing only the best service to their customers, K&G prides itself in its philanthropy. 10% of its profits are regularly donated back to charities and local communities. Projectmates closely matched our needs to manage all the project data in one system."